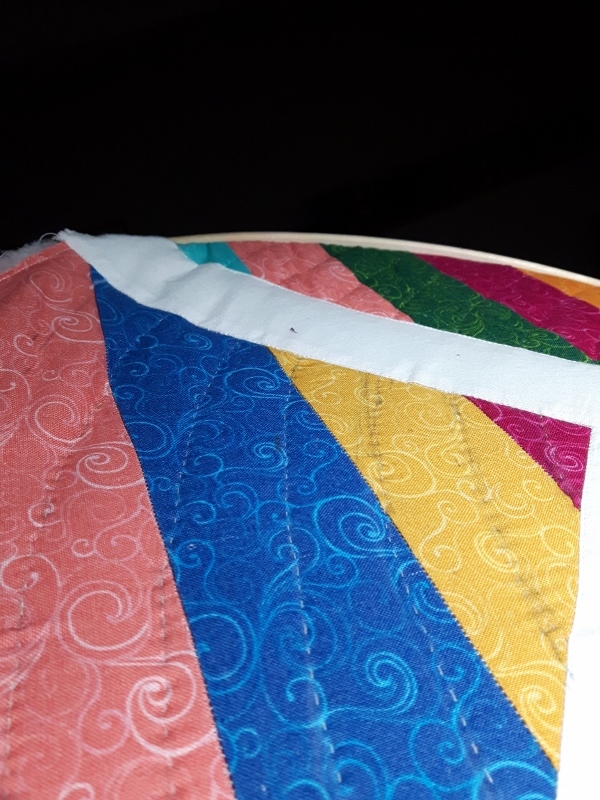 Becclyn Quilts: Q3: Summer is Busy! 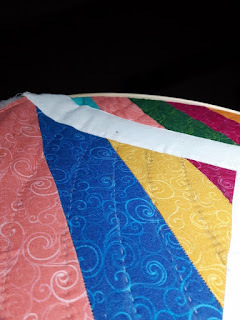 Again, I have put off finishing my hand quilting project. Perhaps Q3 will be the quarter when I conquer the beastie. It's going to look so good when it's finally done. My sewing room needs to turn into a guest room for a week so I'll try to have everything I need handy to finish that while I mourn the 7 day loss of my sewing machine. 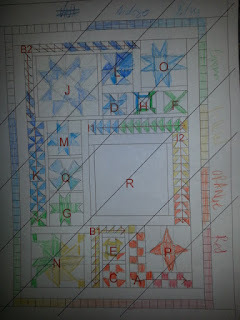 The other project I would love to finish in the next three months is a Craftsy Class: Magical Blocks out of the Box. I decided to make things extra hard on myself by attempting a rainbow effect across the top. 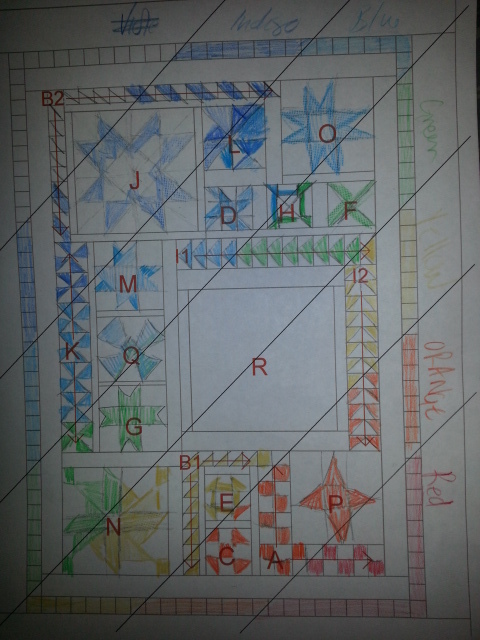 I only have the large "R" block to make then I can piece it all and add the border. You did well to get 3 projects completed last quarter. I look forward to seeing these 2 projects completed.